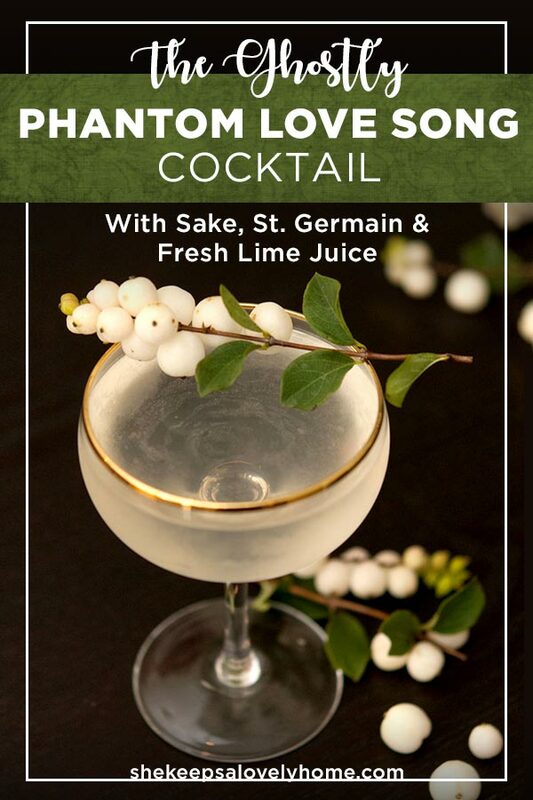 This eerily romantic Phantom Love Song sake cocktail is essentially a French Gimlet that’s smoother, more delicate and perfect for an elegant Halloween party! 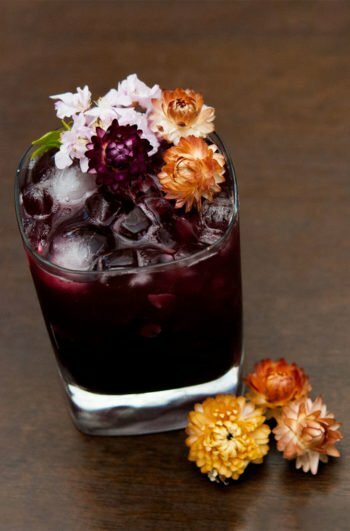 It’s a perfect signature cocktail for a party with guests who prefer sake to gin, and appreciate a little ghostly romance. I know I’m guilty of celebrating seasons and holidays way too early. 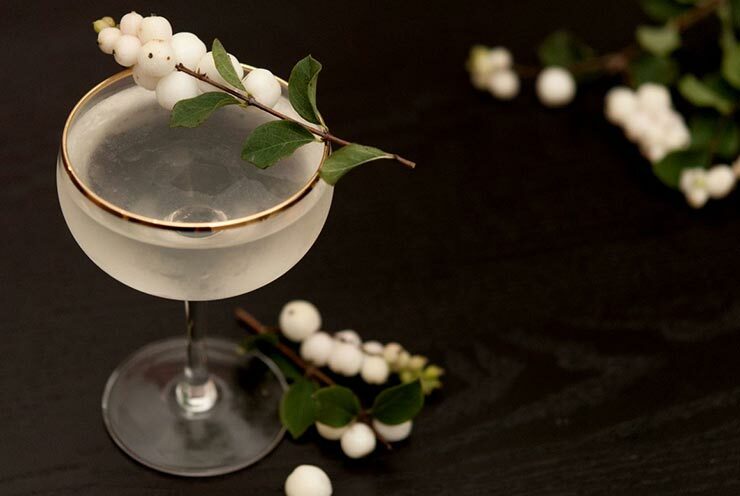 It’s not exactly edible – its not poisonous, but it doesn’t taste very nice (so you might want to warn your guests not to graze on the garnish), but it’s just so elegant that I had to add it to my Phantom Love Song cocktail. 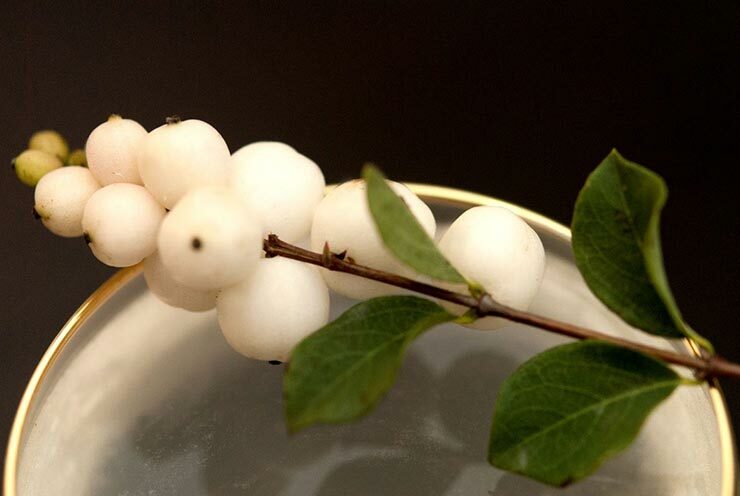 You’ll find ghost berries at your local florists and NYC bodegas this time of year for only a little while, so grab them before they floooOOOoooat awaaaAAAaaaay with the rest of the ghosts. It’s similar to a French Gimlet, made with sake instead of Gin. 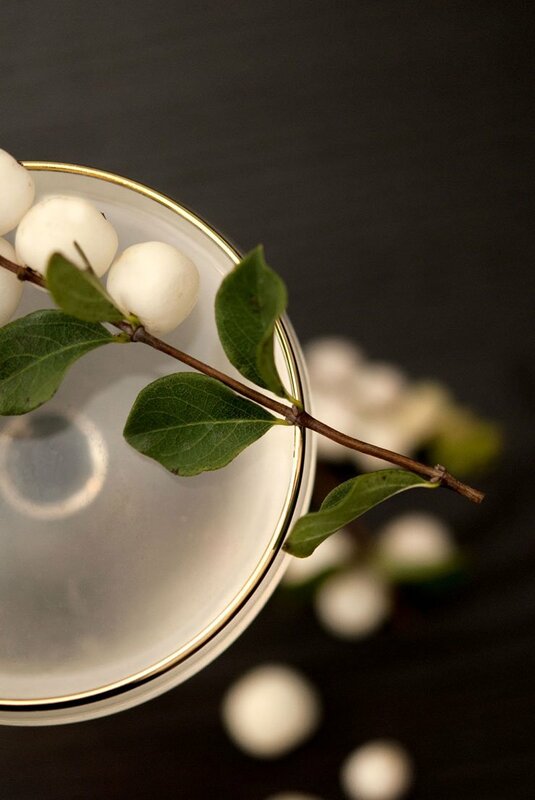 This cocktail is lighter, smoother and more delicate than a traditional French gimlet. 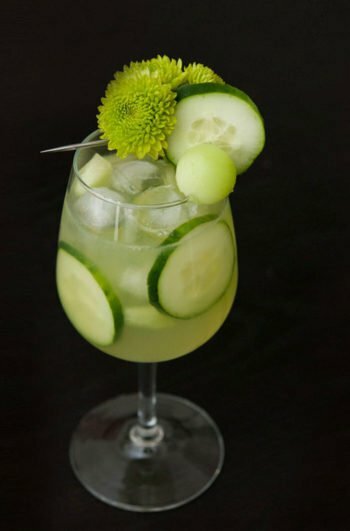 Give it a try at your next cocktail party! If you try this haunting recipe or any of my tasty drinks or treats, make sure to take a picture and tag me on Instagram! I love to see your creations! And don’t forget to follow me on Pinterest for more loveliness, too. 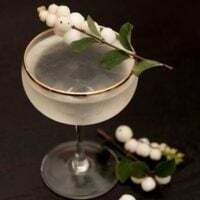 This eerily romantic Phantom Love Song is essentially a French Gimlet that’s smoother, more delicate and perfect for an elegant Halloween party! Pour all ingredients into a shaker with ice, shake vigorously and pour into a frosted coup glass. 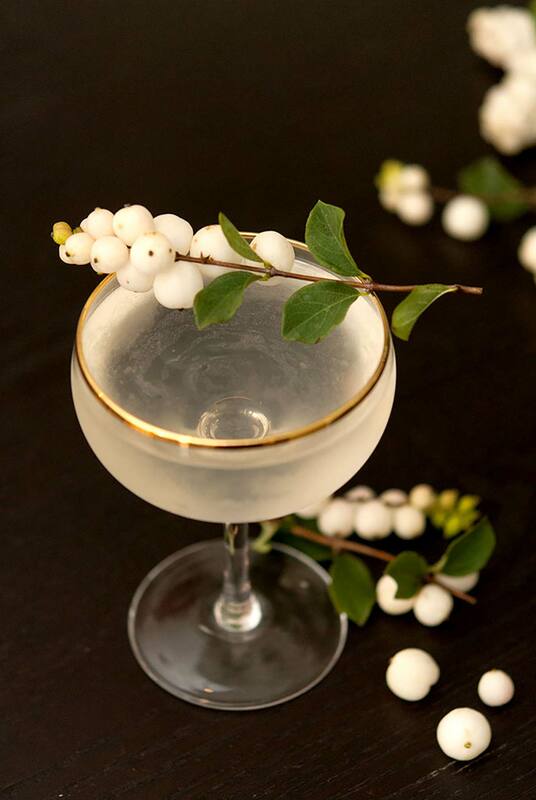 Garnish with snowberries or something hauntingly elegant.